The most common issue with diesel engines is typically the death of an injector or two due to accumulative build-up. A very expensive visit to your mechanic. To help your very expensive injectors stay in good shape, it's a good idea to use a specific cleaner every so often. 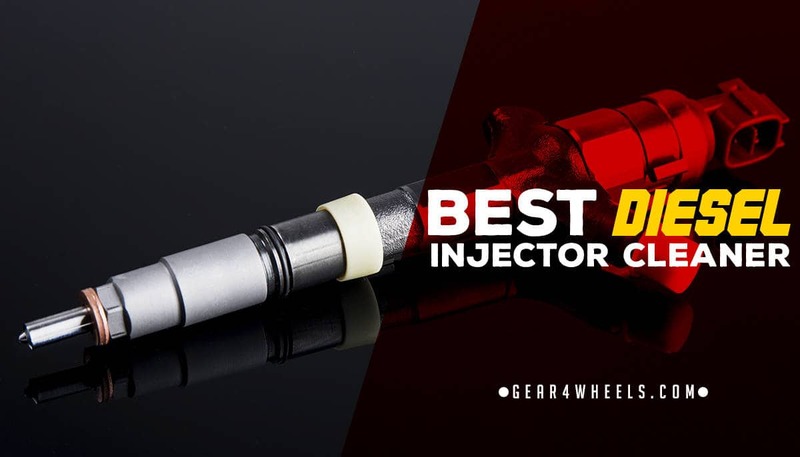 Hence, I’ve compiled a list of the best diesel injection cleaners that you can buy right now, to keep your engine running for a lot of miles. Each of these products will ensure that your fuel system is optimized and running as well as the day it was built. When trying to figure out the best diesel fuel injection cleaner to buy, one of the most important factors to consider can be the brand. Certain companies out there are well-known for making high-quality materials, which can help ensure that you aren’t getting a subpar mixture for your vehicle. Fortunately, Sea Foam is one of the better brands out there, so that isn’t a concern here. When compared to other diesel cleaners, you’ll notice that this mixture is more generic than others. One of the reasons that I like this product so much is that you can use it on a wide variety of engines, whether it’s a car, truck, boat, gasoline, or diesel. This versatility means that you can take advantage of it regardless of the kind of vehicle you have, and it allows you to put it into your fuel system much more easily, as you can dump it into the tank, the crankcase, or the carburetor itself. Another reason that I prefer this cleaner to others is that it offers so much more than just a cleaner engine. It helps to lubricate and stabilize your fuel system, which is why you don’t have to use it as often. Also, it helps prevent freezing in your lines and will quiet your engine. Having a car can be expensive, which means that you want to be as economical as possible without sacrificing on quality. Diesel injector cleaners usually pay for themselves based on the improvement you get in both fuel efficiency and engine longevity, but they can still be somewhat costly overall. Fortunately, if you want something that’s effective and relatively cheap, then you’ll love this treatment from Lucas. Technically speaking, this product is not designed specifically for diesel engines, which makes it a versatile option for a wide range of vehicles. Nonetheless, it still works wonders on diesel injectors, which is why I have it on this list. The price alone is worthwhile, but the performance is also decent. The primary reason to get this treatment is to improve your overall fuel efficiency and cleanliness. Also, it helps prevent the wear and tear of cold starts by improving your fuel system overall, and it can reduce smoke and sulfur deposits exceptionally well. Unfortunately, since this product is not geared towards diesel engines, in particular, it does fall short compared to other brands. Also, it doesn’t last as long as many other cleaners, so you will go through it relatively quickly. For best results, you should add it every time you fill your tank up. Thus, you should keep it in your trunk so that you never forget it. So far, I’ve shown you cleaners that are more of a generic solution to the problem of deposits. That means that while they work well, they aren’t geared toward diesel engines in particular. In this instance, however, Royal Purple is specially formulated for all kinds of diesel engines and fuels, including biodiesel and ultra-low sulfur diesel. Not only that, but you can have anything from a light to a heavy-duty engine, and this stuff will work. Overall, what I like about this product is that it both improves fuel efficiency and the overall life of the engine. This formula is designed for year-round use, although if you have a wide gap in temperatures, then it may reduce its efficacy. It can boost your fuel economy by 10% and your octane rating by eight, and it will help significantly with cold starts. Overall, this is one of the better diesel injector cleaners on the market. The only downside is that it may require several applications before you see any major changes. You do have to apply it at every fill up for best results, so plan to have a canister in your trunk at all times. When picking out the right diesel injector cleaner, the age of your car should be a factor in your decision-making process. If your vehicle is still relatively new (less than ten years old), then you can get away with almost any cleaning agent, and they will work about the same. However, if you are driving an older car or truck, then you want something like this BG244. The reason that this cleaner is ideal for older engines is that it is highly concentrated. That’s also why the price is so high. Overall, when compared to most other treatments, this is one of the most expensive by volume. Nonetheless, if your vehicle has a lot of deposits built up over the years, this can remove them in a single blow. Unfortunately, because this does not also work as a fuel additive, you won’t necessarily see a significant boost in your engine’s performance. Overall, it’s good to use if you haven’t cleaned your system in a while. One component that comes with many different diesel injector cleaners is a fuel additive that both improves efficiency and overall performance. That being said, you can either get a blend that just removes deposits and keeps your system optimized, or you can get one that does that while making your car or truck operate significantly better. In this case, Liqui Moly 2002 just does the former, so don’t expect to see a huge difference after applying it. Overall, when getting these kinds of cleaners, you have to understand that you’re performing preventative maintenance. Many people assume that all cleaners have fuel additives, but that’s just not the case. When compared to other diesel injector cleaners, Liqui Moly 2002 does help make your engine run more smoothly, and you will notice an improvement over time. Although it doesn’t last as long as some of the other blends I’ve seen, it’s a decent product at a reasonable price. Also, the fact that it works with turbochargers makes it an ideal candidate for most passenger vehicles. As with the BG244 above, this diesel injection cleaner is well-known because it is super concentrated stuff. In fact, unlike anything else I’ve shown you on this list, the GM Upper Engine Cleaner has to be applied via the fuel rail. If you’re not sure how to place it into your diesel engine, then you should have a professional look at it. One thing to remember is that if you apply this product incorrectly, it will do severe damage to your car. With that in mind, assuming that you’re able to inject this formula correctly, you will notice immediate results. Because it’s so concentrated, it works best on vehicles that have not been cleaned in a long time, as well as older diesel engines that are losing their performance. If, however, you have a newer car or truck, you won’t see significant increases in fuel efficiency or performance until you’ve used it a few times. Overall, if your engine does have a lot of deposits or you just want to go longer in between cleanings, then this could be an excellent option for your vehicle. What are the most common ingredients in diesel injector cleaner? For the most part, these products are made up of a blend of the following materials. Polyisobutylene: this substance acts as a detergent to remove sediments in your fuel lines. It also helps prevent knocking and misfiring. Polyisobutylene Amine: this is similar to the material above, but it is much better at removing moisture from your fuel and the system as a whole. Polyether Amine: this stuff works best at breaking down solidified deposits that won’t be removed with regular detergent. High-end cleaners will contain this chemical, also known as PEA. How are the deposits removed? The cleaner breaks up the sediment and gunk that is clogging your fuel system and ensures that they are burned up with the rest of your gas or diesel. The deposits are harmless, although they may produce smoke if a lot is burning off. Should I add cleaner before or after I fill up? Different brands will have their own instructions regarding this step, but usually, it won’t make much of a difference. As long as you stick to the recommended dosage, it can be added before or after. Even though I’ve shown you some incredible diesel injector cleaners, I have to say that my favorite is by far the Sea Foam SF-16. I love the versatility and performance of the spray since it will last longer and do more for your fuel system than anything else we’ve seen. Overall, no matter what kind of vehicle you have (even if it’s not diesel), you can benefit from a Sea Foam treatment.